Waiting the Blu-ray ripping process done for too much time that you are sleepy? Having spent the whole afternoon to rip Blu-ray but just get two or three movies for the low conversion speed? You must find that Blu-ray ripping is a time-consuming process, especially when you choose 1080p MKV/MP4/AVI/WMV as export format. If you are using a PC/laptop with Intel CORE i5/i7 processor with 6GB of RAM or above and run an effective Blu-ray ripping tool exclusively, the Blu-ray ripping process could take around one hour. Generally speaking, Blu-ray ripping costs 2-8 hours when working on a regular PC. Maybe, It is the time for you to search for a way to improve Blu-ray ripping and copying time. 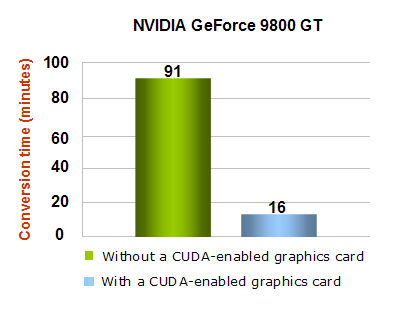 CUDA™ is a revolutionary parallel computing architecture from NVIDIA that enables dramatic increases in computing performance by harnessing the power of the GPU (graphics processing unit). With millions of CUDA-enabled GPUs sold to date, software developers, scientists and researchers are finding broad-ranging uses for CUDA, including image and video processing, computational biology and chemistry, ray tracing, and much more. Pavtube software applications now take full advantage of the NVIDIA CUDA technology and AMD Accelerated Parallel Processing (APP) to largely accelerate video encoding speed. The GPU acceleration saves users time when converting and ripping Blu-ray to other regular video formats. With a PC running on a CUDA-enabled Graphics card, or an AMD graphics card with AMD APP technology, the conversion speed of Pavtube software is about 6X faster than before. Meanwhile, more CPU resources are spared for other applications, that is to say, your computer will run much smoother and faster than ever before when you using Pavtube software to do Blu-ray ripping. The main products of Pavtube that improved Blu-ray ripping & copying speed with GPU acceleration are BDMagic,ByteCopy and Video Converter Ultimate. All of them can offer fast Blu-ray ripping speed with NVIDIA CUDA/ AMD GPU acceleration technology by H.264/h.265 codec. And all of them have wide range of output video/audio format and output devices supported. So using them, you can rip Blu-ray to MP4, MKV, AVI, etc at ultra fast speed. If you want to know special features about every Pavtube product, read BDMagic review, ByteCopy review, Video Converter Ultimate review. Step 2: Load Blu-ray disc to the program. Click “File”, from its drop-down list, select “Load from disc” to import Blu-ray disc to the software for conversion. 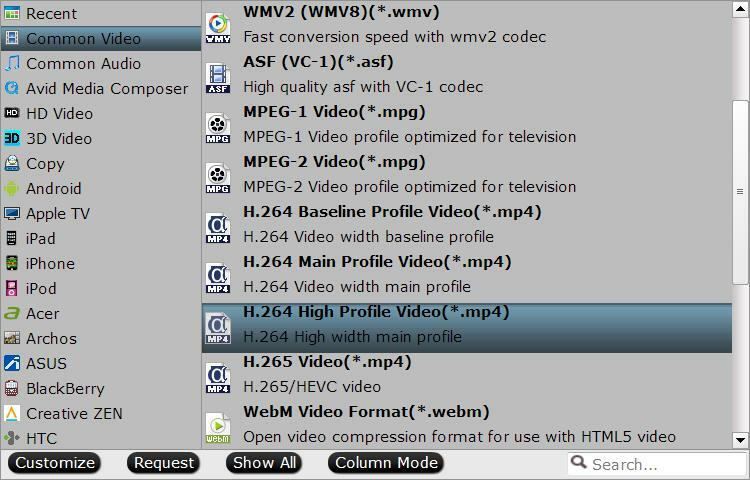 Click “Format” drop-down list and select “H.264 High Profile Video (*.mp4)” as the output profile format. Or choose HD H.265 MP4 video. 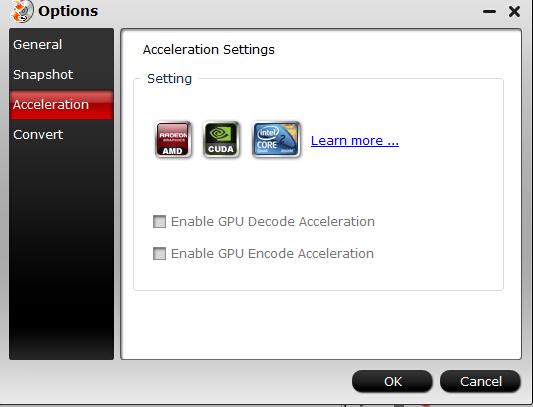 Navigate to “Tool” > “Options” > “Acceleration”, to tick “Enable GPU Decode Acceleration” to improve Blu-ray ripping speed. Start to rip Blu-ray conversion process by hitting the right bottom convert button. ByteCopy and Video Converter Ultimate tutorial is here: ByteCopy Tutorial, Video Converter Ultimate Tutorial. And there is a Pavtube Summer Sale – giveaway & up to 50% off discount for Blu-Ray/ByteCopy and Video Converters Ultimate! Try Pavtube product and improve your Blu-ray ripping speed with GPU acceleration! This is just what I want. I hate the damn, stupid slow speed of Handbrake.